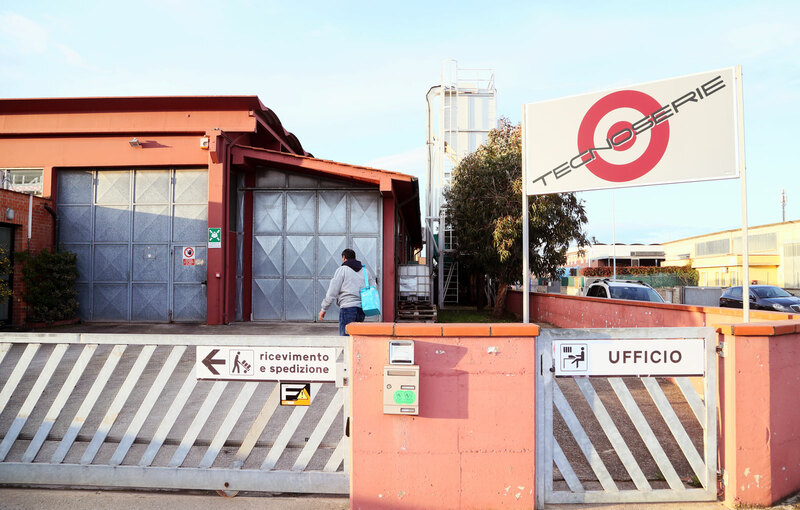 Tecnoserie was founded in 1976 as a company specialized in automatic serialized turning. In 1985, with the purchase of the first computerized numerical control machine, a constant technological cycle began, leading the company to have a fleet of machines that is always modern and up to new technical challenges. Today, Tecnoserie customers operate in several countries, such as Germany, Holland, United Kingdom, Ireland, France, Slovakia, United States, Mexico, and exports account for 90% of the company’s revenue. 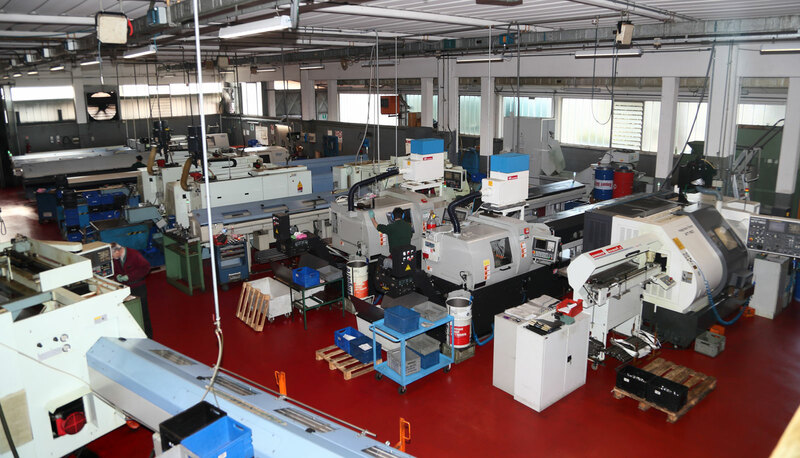 Tecnoserie employs a fully CNC machine park (computerized numerical control): in the 25 machines available, there are Full CNC multispindles with live tools, Swiss type lathes and multitasking double-turret double-spindle lathes. Every machine has motorized tools to perform milling on the most complex components, from 2mm-diameter components to 65mm-diameter ones, directly from the round / hexagonal / square / special profile bar. 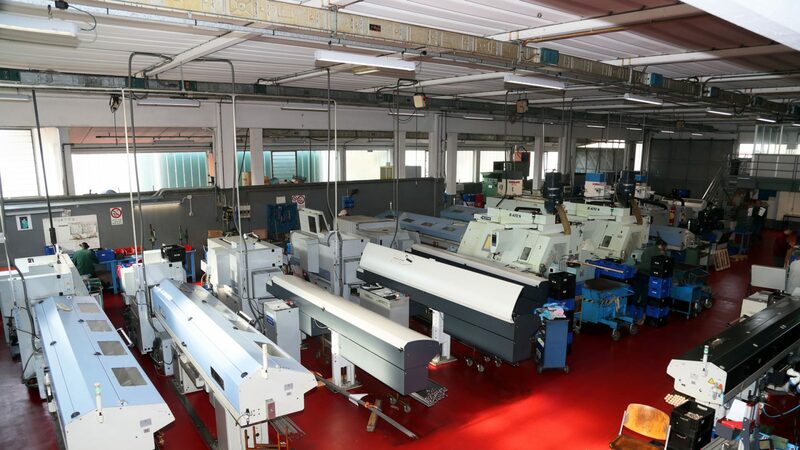 The production is divided into two work shifts, some machines work without supervision during night allowing, in addition to an efficient use of equipment, great flexibility and productivity. Tecnoserie believes that the full satisfaction of customer expectations is the best tool to guarantee business development, which is why it sees it as a priority objective of its policy. For this reason, for many years a Quality System has been created and developed in compliance with the UNI EN ISO 9001/2000 standards. training and development of all staff in the awareness of the pre-eminent role of human resources. Tecnoserie believes that the management model for processes referred to in the UNI EN ISO 9001/2000 standard is the tool for the continuous improvement of company performance in terms of effectiveness and efficiency and is morally and economically committed to the maintenance of these objectives.